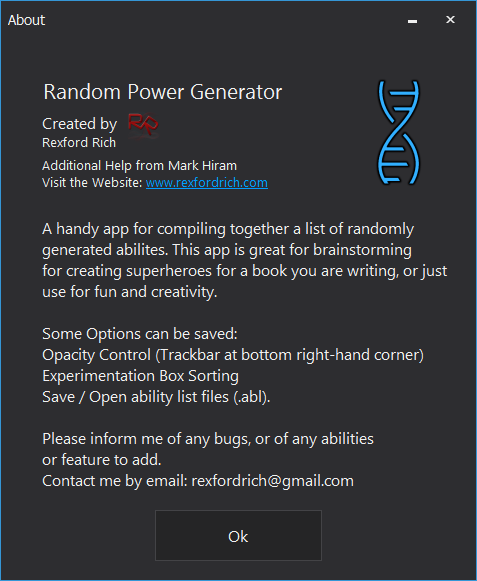 Rexford Rich is the creator of an app called: Random Power Generator. This app has the capability to randomly generate super abilities from a compiled list. 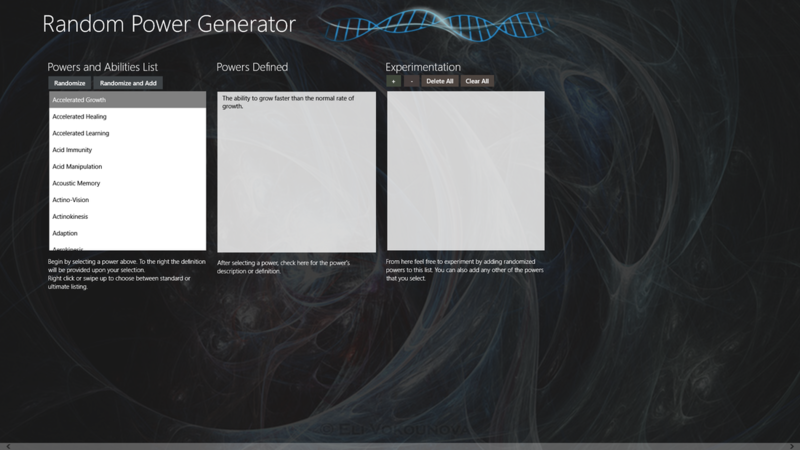 This app can be used for helping you create your own superhero, for your own creativity and for whatever purpose you desire. 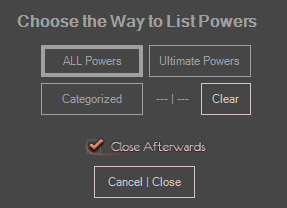 Choose between displaying powers in the "Powers and Abilities List" as Alphabetically | Standard, Ultimate or Categorized by clicking the settings button (the gear icon just above the lists). 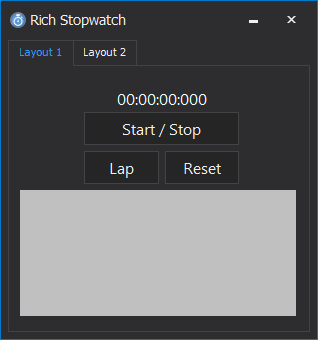 Adjust the transparency of the program's main window. Add and remove powers that you've put on the "Experimentation List"
For additional help see the About page (the question mark icon above the "Experimentation List"). Choose between displaying powers in the "Powers and Abilities List" as Alphabetically | Standard or Ultimate by swiping up, or right clicking to bring up the appbar. For additional help click or tap the About icon by swiping up or right clicking to bring up the appbar. 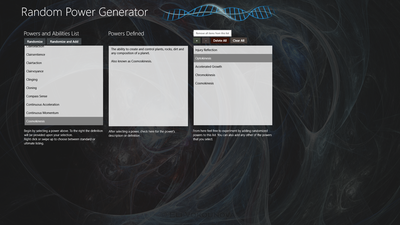 Choose between displaying powers in the "Powers and Abilities List" as Standard, Ultimate or Categorized by clicking the labels. For additional help click the info button (the question mark icon above the "Experimentation List"). 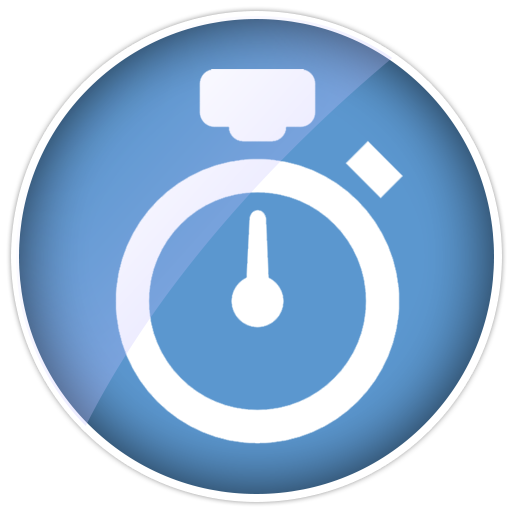 Rich Stopwatch is simply a stopwatch app, designed by Rexford Rich. You also have the ability to choose between two layouts. Also available is a touch friendly version, made with bigger buttons. Download it here. 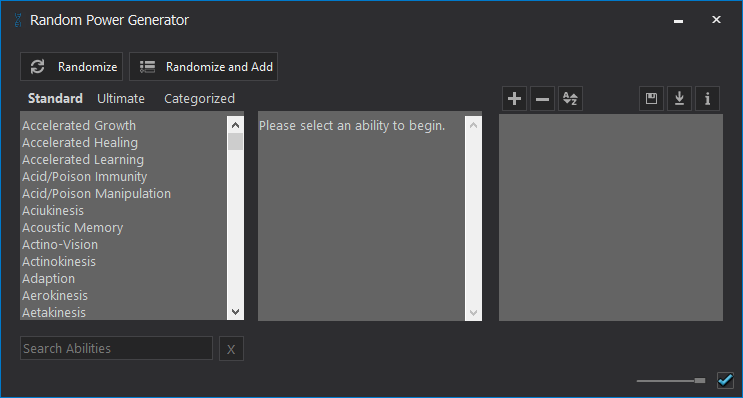 With Windows Selection Box Editor you can customize the colors of the selection box used when the mouse is dragging on the desktop or in folders. It will also allow you to customize the color of highlighting in Windows. 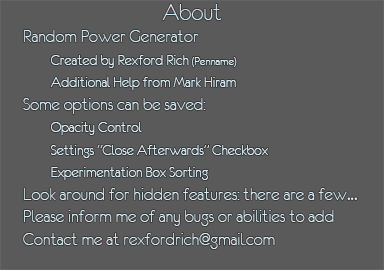 *This app is meant for use to those who understand a little bit about modifying Windows. **Use at your own risk! Backup your registry before use as a safety precaution. ***Known bug: App may open with an error, due to one of the two registry values to not be laid out in sets of three. Click continue for it to open the app anyway, then add in the zeros where values might have a set of two, save, and lastly close and reopen to begin your own color modification. Refer to the screenshot for clarification. Notice that the value of Hot Tracking Color in the screenshot is: 069 104 217. 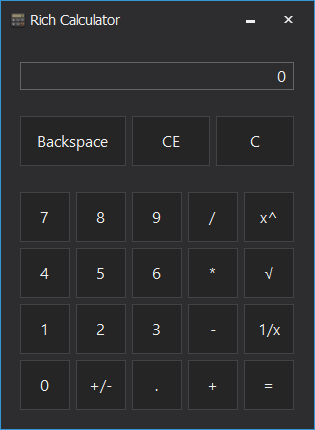 If it were: 69 104 217 instead, the app will open with an error, again click continue, add in zeros, save, then close and reopen for it to work accordingly. System Tray Volume Up Down is great for touch screens or really any computer. It makes it easier on windows touch screen devices that don't have either any or easy access to volume buttons on the tablet itself. It will add two icons in the system tray, a volume up icon and a volume down. Right click to exit the app. An app that simply displays the battery percentage in the system tray.